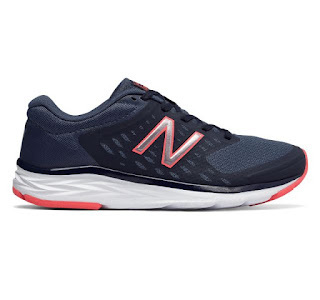 Today only, while supplies last, get these Women's New Balance 490v5 Running Shoes for ONLY $29.99 (Retail $59.99). The 490v5 sneaker for women is a go-to running companion that puts cushioning at the forefront. The mesh upper with no-sew synthetic overlays is ultra-lightweight and lets the XLT footbed take center stage, offering great comfort and flexibility under foot with its unique midsole design. Featuring a responsive performance insert and lightweight upper, the 490v5 women's running shoe offers everything you need for your next treadmill workout or run around town.